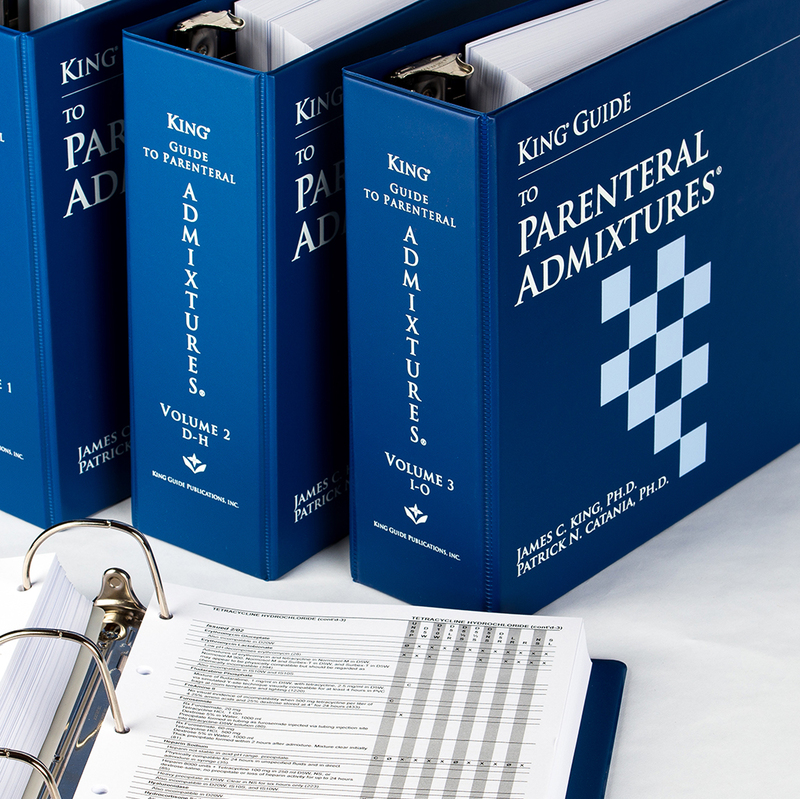 Providing the most up-to-date, complete and innovative injectable drug compatibility and stability information in hospital pharmacy worldwide, the King Guide is a proven, authoritative resource for pharmacists, nurses, physicians and other practitioners involved in the preparation and administration of intravenous drugs. Includes routes, dosages, temperatures, and containers used to determine compatibility and stability. Y-Site, Syringe, and other sets/container specific information.